Massachusetts lake house on beautiful Ashmere lake in the Berkshires. Living room and porch provide beautiful views of the lake. House is situated with direct view and access to lake and boat dock. Recently finished complete interior remodeling including new kitchen, bedrooms, wood floor and carpeting (up stairs). House includes association access to boat docks and 5 minute walk to beach with picnic area/ playground. Rental includes use of row boat and paddle boat. Broadband internet with WiFii now available. Very nice location and cute house, beautiful views! Very nice location and the house was very cute. 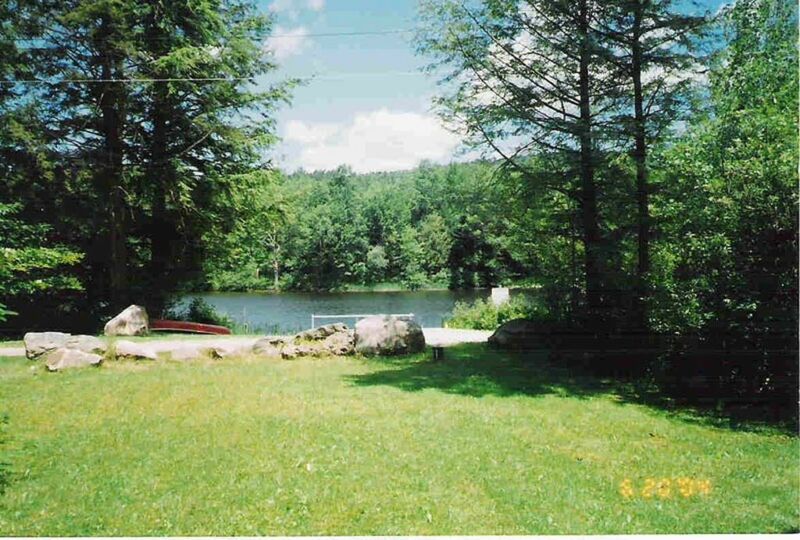 Great access to the lake with a peaceful and quiet neighborhood. Favorite part of the house was the back porch and the view. There is no dishwasher (admittedly our fault for not reading specifics about kitchen appliances). Every windowsill had spiders/webs. The sheets provided had stains; towels provided smelled of mildew. Very comfortable looking house, but felt it could have been cleaner upon arrival. Hi - Sorry you did not enjoy your stay. We have an excellent cleaner who does a great job - but with this size house it is not always possible to get every cobweb. She cleans the sheets and towels that are used every time so I am not sure what happened. Looking back on your rental I see that you booked 4 days before arrival. That is real short notice for a house rental but we do try to accommodate our guests to the best of our ability. Perfect little get away. Loved the kayaks. So close to the water. House had everything we needed and was very cozy. Loved it! Thank you for your review - we are so glad you enjoyed the place! Wonderful house- loved the quiet neiborhood and the view. This house was warm and welcoming. Amazing view with a great yard for games and the puppy. We had a wonderful time and would highly recommend this home. Michael was very thorough in his directions where everything was in the home, how to get wifi, etc. The area is beautiful too. We went for a hike in the meadows wildlife sanctuary in Pittsfield. Walked around Lenox - everything you would want to do is close to the home and then you can come back and relax - our favorite spot was the porch. If you are looking for a good church while in this area - we visited Calvary Chapel Berkshires, people were so friendly and welcoming. Located in the Berkshires, there are many things to do in the area: Berkshire museum in Pittsfield (25 minutes), Norman Rockwell museum in Stockbridge (30 minutes), malls and bike trail in Dalton (15 minutes), Great adventure New England (40 minutes).